I love glitter. And by “love” I mean I have a slightly sick obsession. 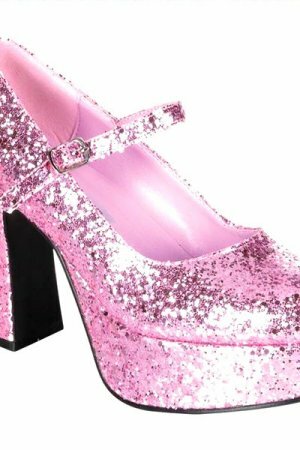 I wear glitter make-up, glitter shoes, glitter accessories, glitter shirts (I do not own a single pair of glitter jeans, but that’s more out of the fact that they only come in kids’ sizes). I don’t know exactly when the obsession started, but it was probably in Girl Scouts. At the crafts table, liter-sized vats of the stuff shimmered in the cafegymatarium. By the end of day, the tables, floors and each little crafter was a disco ball. I couldn’t even do my own make-up until after high-school, but the one thing I always had was glitter. I wore purple glitter hair junk for the entirety of 7th grade. In 8th grade, I ran the applicator from a tube of rainbow glitter mascara through my bangs. The only make-up I owned in my four years of high school was a little case of Urban Decay Drifter, a very sparkly purple eye shadow. In my senior year picture, there I am in an ill-fitted black collared shirt with a pea-green tank top underneath, hair a mess, and no make-up except for the burst of purple sparkle on my eye lids. What’s the point of this? The other night I was washing away the day’s coating of glitter, when I realizes after the suds were splashed away, I could still see myself sparkle in the bathroom light. I exfoliated away the top layer of skin, and the sparkle remained. After years of drenching myself in shimmer, it is now a part of my skin. I’m sure there are some dire health effects associated with this, but except for strippers and drag queens, I really don’t know who else would have this sort of issue. As a side note, someone told me I’d be a good drag queen if only I’d been a man. I couldn’t help but smile. Those ladies always look so damn fabulous.